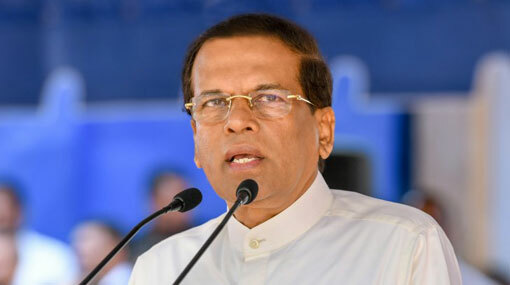 The President made these remarks participating in the inaugural ceremony of the commencement of renovation works of the Nabadagasdigiliya tank in Mahawilachchiya, Anuradhapura under the Cascaded Tank-Village System to be implemented across the country, on Friday (21). The President commenting on the media report published stating that a married couple among the people who faced the drought prevailing in the Kahatagasdigiliya and Galenbindunuwewa area has eaten murunga (drumstick) leaves after suffering starvation, said that he has appointed an officer to immediately to look into the issue. If such incident was occurred the Ministers, MPs and public servants of the district should be responsible and said that it is the responsibility of the Ministers, MPs and public servants get closer to the affected people and look into their shortages.